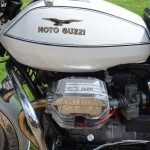 Restored 1982 Moto Guzzi California Motorcycle. 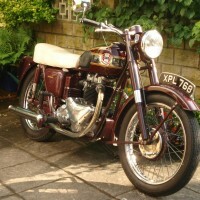 This motorcycle was restored by its owner. 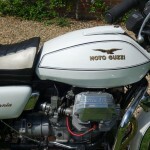 The engine was rebuilt by a Moto Guzzi specialist. The frame was shot blasted and powder coated. 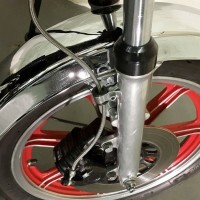 Stainless steel fasteners were used for the rebuild. New adjustable rear shocks were fitted. The brake system was fully overhauled with a new front master cylinder. 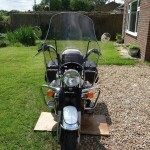 Goodridge brake hoses were fitted. The wheel bearings were replaced. 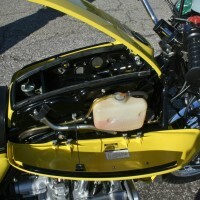 The fuel tank and panels were professionally re-sprayed. A new stainless steel exhaust was fitted. 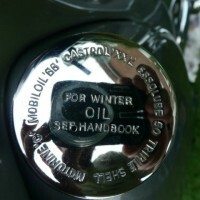 The chrome parts were either re-chromed or replaced. 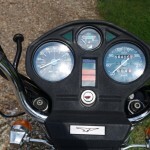 Lucas Rita electronic ignition was installed. 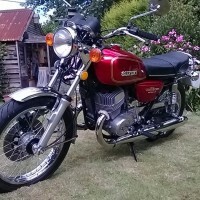 A very nice restored Moto Guzzi California Motorcycle. 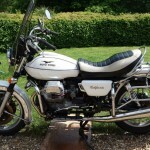 Moto Guzzi California 2 – 1982 For Sale or Wanted? 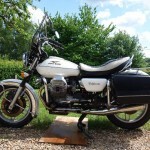 If you're looking for the perfect Moto Guzzi California 2 – 1982 for sale then take a look at the hundreds of restored classic motorcycles listed on our extensive Motorcycles For Sale pages. 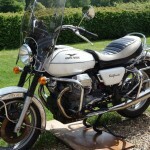 We regularly feature very nice restored Moto Guzzi California 2 – 1982 bikes for sale. 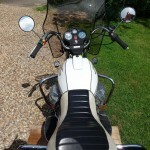 Spares and Parts for your Moto Guzzi California 2 – 1982? 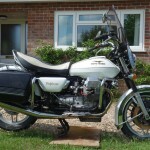 Workshop Manual for your Moto Guzzi California 2 – 1982?